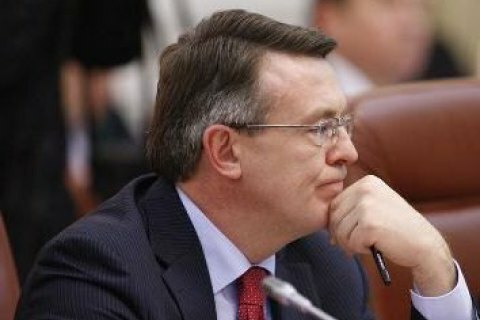 Former Ukrainian Foreign Minister Leonid Kozhara has said that the agreement between former President Viktor Yanukovych and representatives of the opposition on the settlement of the crisis, which was signed on 21 February 2014 with the mediation of European diplomats, could have helped them resolve the crisis situation in the country at the time. He was testifying as a witness in the high treason case of ex-President Yanukovych, being heard by Kyiv's Obolonskyy district court. "Full and unconditional implementation of the agreement could have settled the crisis situation not only in Ukraine, but also the crisis situation of Ukraine at the international level," Interfax-Ukraine quoted him as saying. Kozhara noted that after his resignation on 23 February, he could not check how international partners were contributing to the implementation of this agreement, but before that he had been in constant contact with the then foreign ministers of Germany and Poland, Frank-Walter Steinmeier and Radoslaw Sikorski respectively. "From them, I heard guarantees that the EU supports and insists on the full implementation of this agreement," he said. According to him, each participant and signatory to the document, in accordance with established practice, received a separate authentic copy of the agreement. Kozhara also said that in accordance with the law and the provision on the Foreign Ministry, all international treaties were kept in the ministry, but at the time of his resignation from the post such a document had not been received from the presidential administration. In addition, he said that on 21 February, he was in contact with Yanukovych, who had long talks with the foreign ministers of Germany, France, Poland and representatives of the opposition before lunch. Then, according to the schedule, the ex-president was supposed to leave for Kharkiv to participate in a "meeting of deputies of all levels." At the same time, the witness noted that he had had contact with Yanukovych before 18.00 on 21 February. According to him, the Foreign Ministry was not then blocked due to the Maydan protests and he could, albeit with problems, get to the ministry and fulfill his duties as minister. Kozhara also said he knew nothing about threats to Yanukovych's life.